A few months ago Google and T-mobile introduced the T-mobile G1 (aka googlephone). What makes this smartphone so special, is the fact that the operating system (Android) is open source. While most end-users wouldn’t care about this, developers have more freedom in improving or fixing parts of the OS. As usual we Europeans get all the ‘new’ electronic devices 6 months later than the US or Asia. Often these devices cost more as well (for example iPhones, PSPs, NDS) because someone decided that 1 USD == 1 EUR. Luckily I was able to get a T-mobile G1 just before I left the states 🙂 . 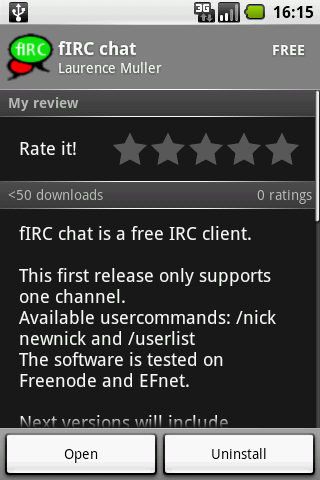 fIRC chat is a free IRC client. Suggestions, bug reports and comments can be posted here. The project page can be found here. Great work Falcon, my Dev Phone 1 is on it’s way and Android is a great mobile os. 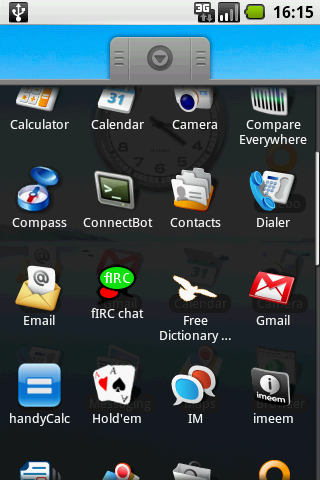 Right now I’m mostly writing apps for iPhone and since I don’t have G1 yet I’m testing Android apps in simulator only. Keep up the good work. 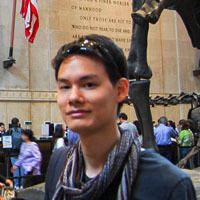 Do you plan to release the source or you wait till the Android Market have support for paid apps ? nice to hear that you’re getting a G1 as well 🙂 ! 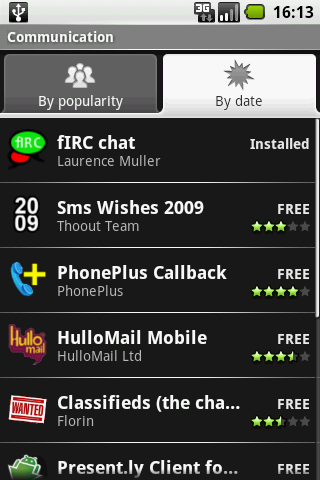 For now I’m keeping this chat client closed source. I don’t know if I will ask money for this application when the Android Market for paid apps is launched… depends on how popular this application is gonna be 😉 . Looking good. Exciting project. Looking forward to see more of it. I work with gamesurge irc a lot. I was wondering if you will offer that as a server you can connect to. I’m also part of a ‘group’ called clanbots there. ( http://clanbots.org ) please let me know cuz I’ve used a sidekicked for years and the only thing I thought it lacked was a irc client. Keep up the good work. Can’t wait to see the next version. 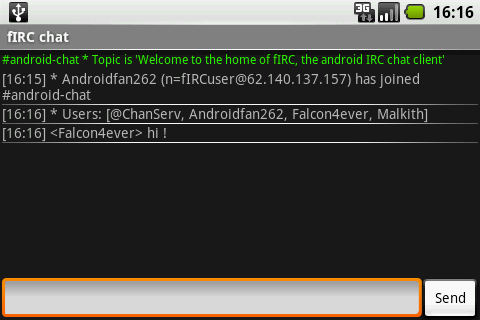 this may be a silly question, but can the program only connect to the Freenode and EFnet IRC servers, or is it usable with any IRC server? I’ve tried to log onto an IRC server that I use, but it comes back in the server status window saying error: closing link and registration timed out. well due a stupid bug (Incomming Ping messages need to be replied with Pong, but I made a mistake by placing it on the wrong location) its only working on freenode and efnet. In my current development build I fixed the ping pong issue and now it connects to gamesurge and quakenet. 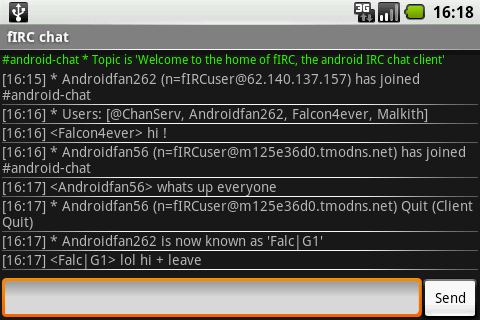 Thanks for a great IRC client! One request: Could you make the permanent “ongoing” notification optional? I find it distracting up there in the notification bar, which I try to keep free for incoming email/twitter/AIM/etc. It would also be cool if I could configure it 1) to send a notification when my name is mentioned in chat, in addition to when I get a PM; 2) to vibrate and flash the LED, instead of making noise when it notifies me, much like I have my email etc. configured to do. I’m glad you like the client. – The notification part will change (top bar and PM), I will probably add a settings menu so you can customize the notifications. – Hmm notification/highlighting on nickname… (should be possible). Great work on the app. Bug report: I have not been able to connect to gamesurge successfully yet. Getting report of invalid username, have tried multiple variations with no luck. Feature requests: 1) Save favorite setups. 2) Perform some commands per server so we can automate identification etc. @Ryan: Gamesurge should work, just be sure to adjust your ident and realname properly. Be sure its all in lowercase, no numericals and no spaces. Just downloaded this today- great app. Do you have any plans to add support for operator commands? I cant seem to connect to gamesurge on my phone for some reason. Is there a support forum for this app? I dont have a support forum atm. Try changing your ‘realname’ and ‘ident’ to something without spaces, capitals and numbers. Gamesurge should work just fine. Thank you it’s working now. Leaving the realname and ident boxes blank is a bad idea. I couldn’t connect until i put something in them, and as laurence said dont use spaces, capitals, or numbers. Thank you so much for this app Laurence. It really is the single thing that made me keep the G1. I love that I can connect to any server. It took me awhile to figure out that the ‘realname’ wasn’t optional but other than that it’s very easy to use and i appreciate that. Requests:: I don’t know what’s possible and what’s not so sorry about that. The commands I need the most but don’t have are /oper and /gline I would be thrilled if the client supported Anope services i.e. nickserv, chanserv, and most importantly operserv. Also, a channel list would be good. Laurence Muller, Great job on this app. I really love it and like others have said i wouldnt keep my g1 without it. Nice app. 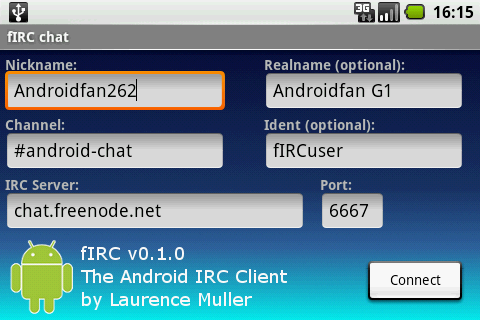 I will definitely keep it installed on my phone – being able to connect to irc and talk to people is very important for me. * no auto-reconnect (possibly with configurable timer) – my phone disconnects a lot due to bad coverage in some spots I frequent. Seems to work great, once I got it set up properly. There is, however, one horrible problem. I leave it running indefinitely, and sooner or later it loses the irc connection, refuses to reconnect, and tries to force close when I try to close it, but never properly force closes, so I have to restart my phone to get it running properly again. Barring, this, it’s fantastic. One suggestion, maybe it could automatically send authentication so I don’t have to pm every time I log in? This works great for me. I was using gamesurge java browser, OMG!! and I was gonna buy one and download it. People in market apps claimed Dev answered e-mails, I sent email with just three questions and never got a reply. 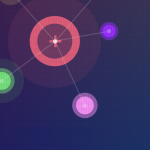 Good thing… firc is working fine once u get the hang of it. “I sent email with just three questions and never got a reply.” <– I was speaking about another Dev which was a "Pay" application I was thinking of buying. Laurence sent me an email, just to ask how everything was going and I never even emailed him. I am going to take this on personally. xintros> hello, i am sorry to bother you but you just locked my topic on the forum.. is there anyone I can speak to or email about my situation? xintros> so I need to contact Tmobile? xintros> its one individual and all tmobile suffers or are there more involved? xintros> so tmobile is not answering you regarding this? thats it? xintros> ok, well, do they have ANY contact info? xintros> well, i would like to find out. how would i go about that? xintros> you have no supervisors or anything like that?